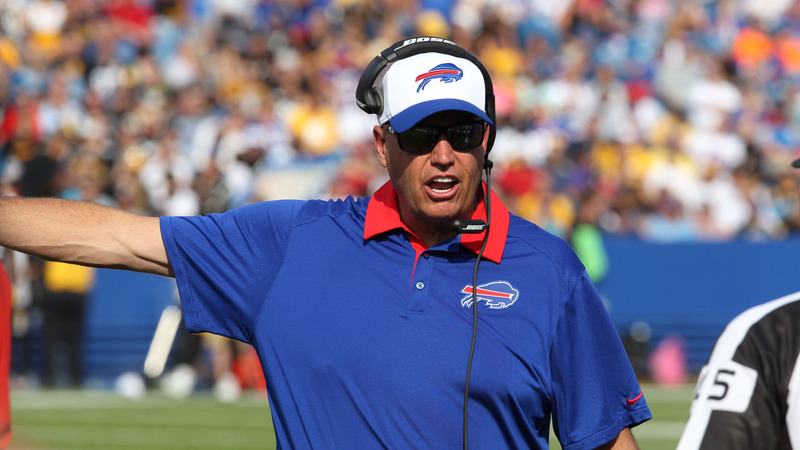 ORCHARD PARK, N.Y. (AP) Still smarting from the Buffalo Bills’ meltdown against New England, coach Rex Ryan had at least had one thing go right for him Monday. The honeymoon period isn’t over yet for Ryan, two games into his first season in Buffalo. And yet he fully understands it won’t last much longer if the Bills (1-1) fail to regroup after unraveling during a 40-32 dud against the Patriots on Sunday. Against New England, Buffalo’s supposedly sturdy defense proved porous in allowing 507 yards, including a franchise-worst 466 yards passing by Tom Brady. Their offense spent much of the first three quarters going nowhere before mounting a 19-point fourth-quarter rally that fell short. And a lack of discipline was a constant in all three phases, with Buffalo flagged 14 times for 140 yards – including an unsportsmanlike conduct penalty against Ryan for arguing an offensive pass interference call against Bills receiver Sammy Watkins. After forcing a three-and-out on the Patriots’ first possession, the Bills failed to force another punt. And they allowed New England to score on seven on its next nine possessions, not including a kneel-down to end the first half, to build a 37-13 lead through three quarters. The comeback bid ended when Taylor’s pass tipped off Watkins hands and was intercepted by Logan Ryan.